As winter sets in, much of the Southern Plains will once again turn toward wheat pastures for their grazing needs. With adequate rainfall, this wealth of protein and energy could be available to many producers by late November or early December. 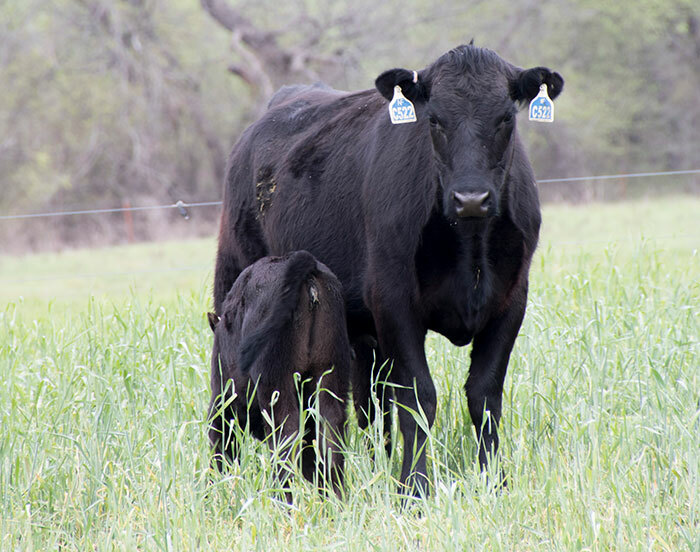 Glenn Selk, Oklahoma State University’s emeritus extension animal scientist, urges producers to consider limiting mature beef cows from grazing high-quality wheat pastures. While this approach is more efficient in the long run, he notes that producers must provide cows with dry-grass pastures or hay on the off days to supplement their nutritional and energy needs. However, when it comes to wheat pastures, Selk is careful to clarify that “a day” is simply the amount of time it takes a cow to fill up. Three to five hours may be enough, rather than a full 24 hours. He explains that it’s this short amount of time consuming a high-protein forage that is able to sustain cows over the following few days while they’re on dry grass or hay. Limit grazing on an hourly basis prevents undue losses caused by manure or hoof traffic. “Under normal weather conditions in the fall, enough wheat forage should be accumulated by early December to supply the protein needs of about 1 to 1.5 cows per acre throughout the winter months when limit grazing is practiced,” Selk says. Selk cautions that one concern of continuous grazing systems is the possibility of grass tetany in older cows. Grass tetany, or a deficiency in calcium and/or magnesium, most often affects cows that are nursing calves that are under 3 months old. While dry cows rarely fall victim, Selk states that older cows grazing small grain pastures in early spring are susceptible until it warms up. “When conditions for occurrence of tetany are suspected, cows should be provided mineral mixes containing 12 to 15 percent magnesium that are consumed at 3 to 4 ounces per day,” Selk says. Preferably, make mineral mixes containing both calcium and magnesium available in pastures where tetany could be an issue. Selk recommends that cows receive supplements a few months ahead of any tetany threat so that proper intake is established. If grass tetany is suspected, producers are advised to immediately contact their herd veterinarian. “Symptoms of tetany from deficiencies of both minerals are indistinguishable without blood tests and the treatment consists of intravenous injections of calcium and magnesium gluconate, which supplies both minerals,” Selk concludes.